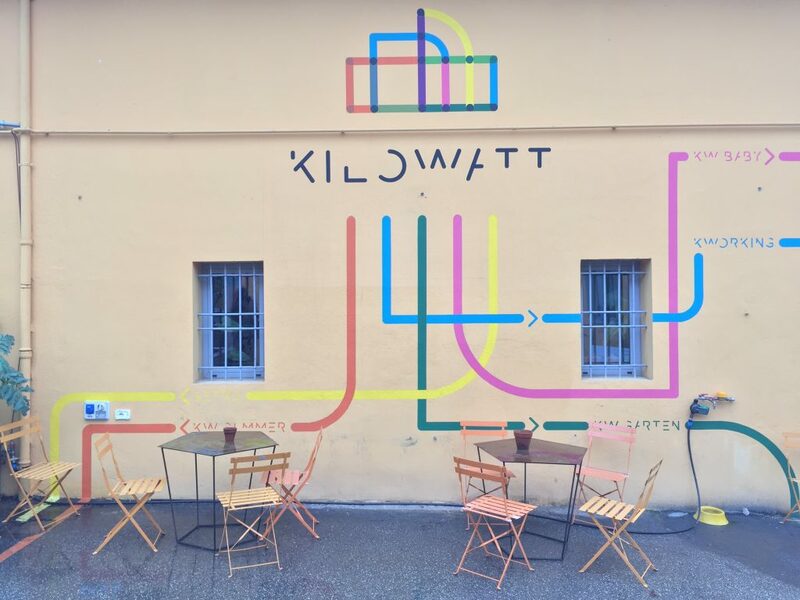 Kilowatt is a co-working space inside the Margherita Gardens in Bologna. Opened in 2012, it was developed through the Incredibol public tender and it became a hub for environmental and social innovation. Besides the co-working space, it features a community garden, a kindergarten, a restaurant and an open area where cultural and social events are organized in summer. Kilowatt was born in 2012 as an association and a co-working space in the center of Bologna. At that time there were no other co-working spaces in the city. We were a group of four professionals and we involved many other people who were eager to experiment in a shared workplace. As we already worked on shared projects, after the opening we used service design and relational art to involve communities working on cooperation and social environmental innovation. We organized events during which people came together in order to deepen various topics, the community grew and we started considering the possibility to create a space dedicated to these kinds of activity. We have just finished renovating a greenhouse and a former lion cage and our plan is to use both spaces for exhibitions, cultural events, courses and to rent them for private use. We also have our own vegetable community garden, managed by a gardener, hired for this purpose, and we have an outdoor area in use during summer. 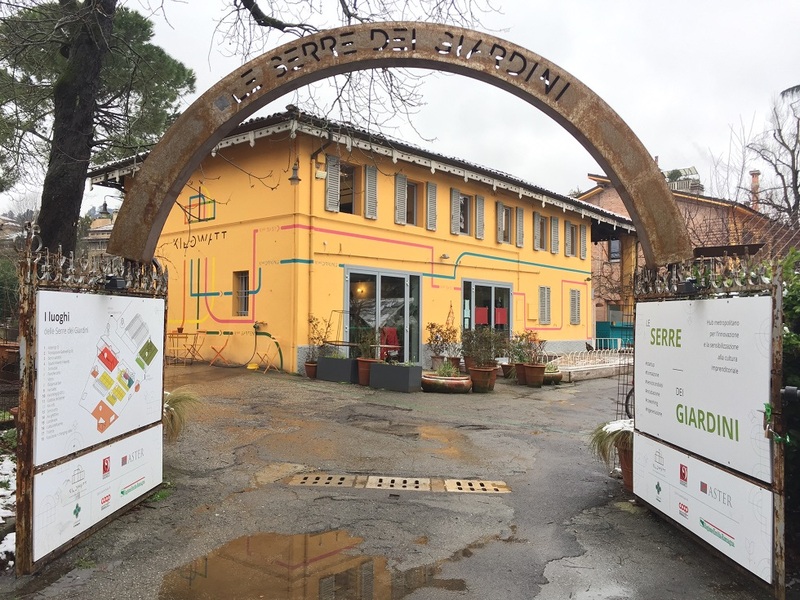 We applied for a tender launched by the Municipality of Bologna, called Incredibol, and the Municipality proposed us to regenerate the old greenhouses of the Margherita Gardens. A wonderful place abandoned since several years that needed a relevant investment to regenerate it. We gained their trust because we proposed a true entrepreneurial plan and we invested in the renovation of the place €500.000. Of course we needed to use the space for a long time in order to make it viable. Hence, after some weeks of negotiation, we reached an agreement: 15 years of a free concession of the space in return for our investment. How is Kilowatt organized today? Our co-working area can host about twenty people. 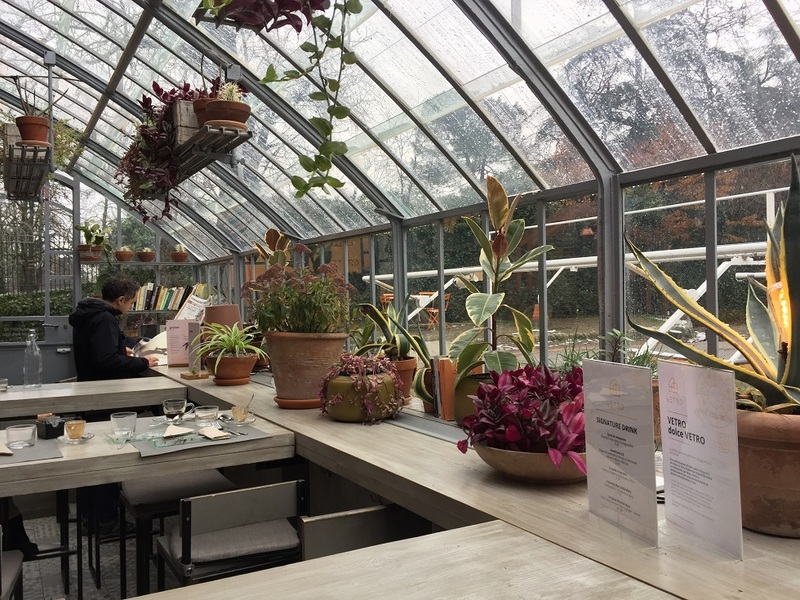 Being in a greenhouse, inside Margherita Gardens, prevents us from modifying the building and therefore from expanding the space, although we would like to be able to host more people. Besides the co-working space, we also have a kindergarten, that is an experimental educational service developed by some of our coworkers. The kindergarten shares our core focuses, and it actually started when some of our co-working mothers thought it would be great to have the chance to work and stay close to their babies, especially during their breastfeeding period. It is very different from other kindergartens, and to make it an official kindergarten we would have to present the project to the regional office and to have it be approved. It directly involves the parents and there is even contact between the kindergarten and the rest of our structure, which is something unheard of, or even strictly prohibited, in traditional kindergartens. Trained educators look after the kids and they focus on outdoor education. Our vision is to give work the same quality of free time. Food is a key factor in determining the quality of a workplace, so we decided to open a restaurant, getting fresh local supplies from young cooperatives we trust. The place is vegetarian, but we don’t advertise it as such because we don’t want this to become its main characteristic. On top of that, we have two other spaces that we use for courses and exhibitions. During summer, for 120 days, we organize a series of outdoor cultural events. The whole program is free of charge because we conceive urban regeneration as a chance for growth that must be accessible for everyone. We apply for funding in order to sustain this program, and we also invite other associations and individuals so that they can contribute to make this a public space. For example, we collaborate with Kinodromo for movie nights and with the University of Bologna for a series of cultural events focusing on film and architecture. We always try to involve other local institutions. How are you organized legally? We worked a lot on our business model. We were born as an association, and we transformed it into an innovative start-up cooperative when we won the Culturability grant. We like the idea of being a cooperative because it implies sharing and collaboration, but, above all, the innovative start-up status allowed us to get our first big loan from the bank, amounting to €120.000, and later increased by an additional €100.000 from external investors. Structurally, we are a cooperative that founded a limited company to manage the restaurant which allows us to reinvest profit into the regeneration project. The cooperative has four main activities: the management of the structure; innovation consulting for public administrations and for new businesses; K2, a communications agency; and Kilowatt Edu, that focuses on courses regarding innovation, relational art and service design. Until today, we have always worked inside this place, but regenerating this whole space we are looking for ways to expand and bring our activities elsewhere. Our main challenges are growth and distributed leadership. Last year, we started to work on ways to teach distributed leadership through our consulting activity and on extending this approach to our whole structure and our staff. It is not as simple as it may seem, but it is very exciting, especially considering the way hierarchical structures still dominate and suffocate employee creativity – and I can tell this from personal experience, having worked in big multinational environments. Interview with Nicoletta Tranquillo on 22 February 2018. Bologna, Community, Culture, Economy, social inclusion , civic space, co-working, community, education, food, green spaces, social innovation, temporary use.